Heat the sugars, honey, water and salt in a large pot over a low-medium flame. Use a pot that is larger than you would think necessary because when the mixture begins to boil it will foam up and increase in size. Stir every five minutes or so. Using a candy thermometer, continue to heat the mixture until it reaches a temperature of 310 degrees Fahrenheit. This is very important because this is the temperature at which sugar hardens into a rock-like state after it cools. 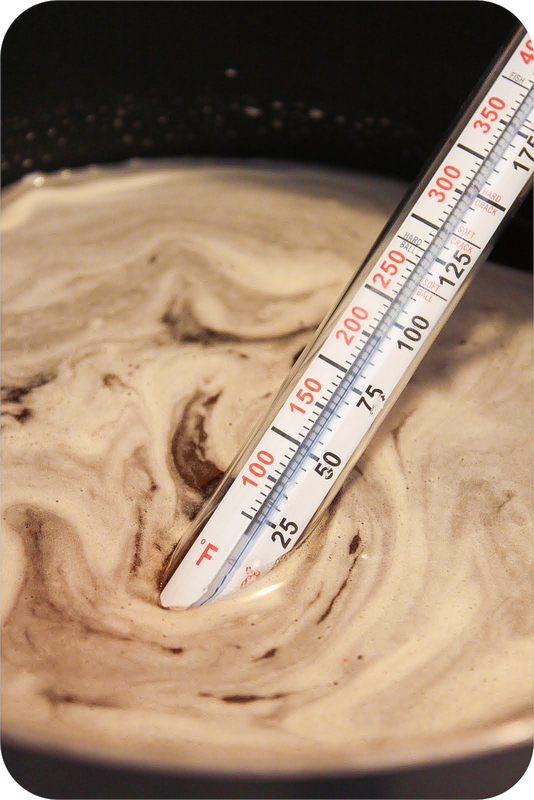 It can take up to an hour for the mixture to reach that high of a temperature, so don’t get too worried if 15 minutes go by and the thermometer is still at 175. While the sugar mixture is boiling, place a sheet of parchment paper on top of a shallow pan, about 9 x 13 inches in width and length, and grease the parchment paper. Set aside. 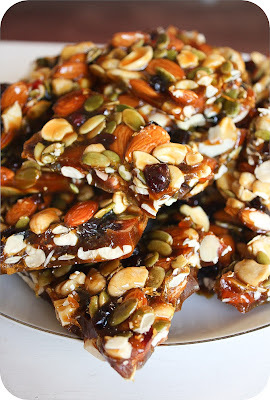 After the sugar mixture reaches 310 degrees turn off the heat and allow to cool to 302 degrees, then immediately stir in the butter, cashews, almonds, pumpkin seeds and dried cranberries until they’re coated in the mixture. Immediately pour the mixture onto the parchment paper and spread it out into a large rectangle using a rubber spatula. Try to keep the surface relatively even and about 1 inch in height. 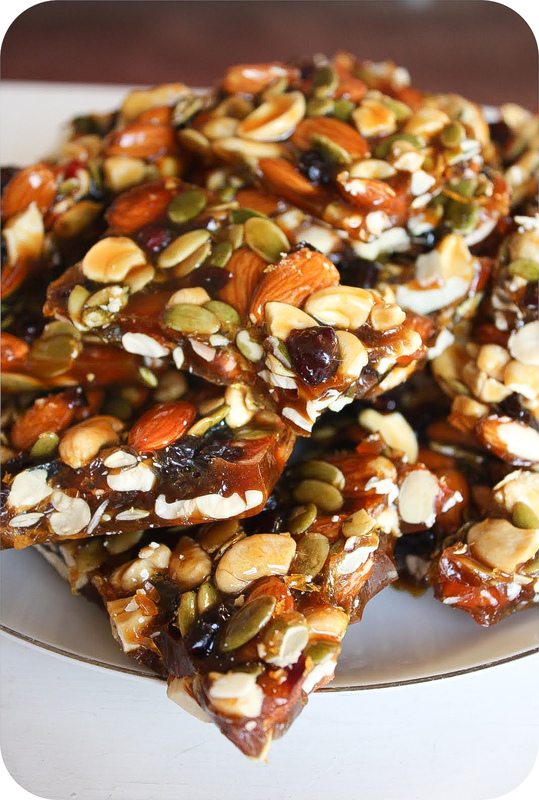 Place the pan in the refrigerator and allow the brittle to cool for one hour. Once it has finished cooling, remove the sheet of brittle from the parchment paper and break the brittle into pieces using a meat tenderizer or clean hammer. Arrange the pieces on a serving platter and serve. Store excess brittle in a cool dry place.